Our department is one of the largest in the country, and also incorporates Health and Social Care, Citizenship and EPQ Anthropology. We have 11 sociology specialists within the department. We are a very dynamic department, always looking to keep up-to-date with recent sociological studies and developments. Several members of the department are current examiners for AQA Sociology, while other members of the department have written and contributed to the Sociology and Anthropology textbooks used at A Level. We have very good links with Essex, East London and Suffolk University, and provide an opportunity for students to attend an annual Sociology conference where they get a ‘taste’ of university lectures and what it might be like to study sociology at degree level in addition to gaining insight from Examiners for AQA. Furthermore, we provide a wide range of student support via online resources and taught support sessions which are available throughout the year. The department also runs a mentoring programme in which 2nd year student’s guide and support new year 1 students during the year. This course aims to give a critical understanding of contemporary social issues and the way in which society is structured. You will have the opportunity of studying a number of different social theories, and explore ways in which they can be applied to society to help us understand it. The course encourages you to think about your own experiences and reflect upon them. We will explore questions such as: Are we witnessing the breakdown of the traditional nuclear family? Why do females outperform males in terms of GCSE and A Level results? How can we explain changes within contemporary society? How do sociologists obtain their evidence? This course is aimed at providing knowledge and experience for any student hoping to follow a health, social care or early year's career (Nursing, Social Work, Educational Psychology etc. ), or for any student with an interest in Health and Social Care. Students will develop a knowledge of people’s rights and responsibilities within the care sector. The syllabus covers a number of core subject areas including Care practice, growth and development and Social Trends. Within the course each student will be involved in primary and secondary research to produce a portfolio of evidence on topics which are relevant to careers in the Health and Social Care sector. This is a full course where students will develop the skills and knowledge needed to campaign successfully on a range of current affairs and issues important to them. Students will learn about pressure groups, charities, democracy, human rights, how to hold politicians to account, the importance of standing up for your beliefs and so much more! It is a really lively, topical course which increases students’ confidence in their own voice and ability to present a case, represent a charity or pressure group and take responsible action to make a difference. Assessment involves two written exams on the following topics: Active Citizenship, Politics and Participation, Life in Modern Britain and Rights and Responsibilities. The opportunity to pursue an individual ‘university style’ Extended Project Qualification (EPQ), in an area of particular academic interest for degree level study, often with full support from an appropriate academic mentor. EPQs are very favourably viewed by competitive university courses. This course aims to complement your Sociology course as well as providing a unique insight into understanding cultural diversity and universality. You will have the opportunity to explore a number of fascinating and contemporary issues such as tattooing, trans humanism, taboo, kinship and cyborgs. Whilst exploring such issues, you will learn to apply anthropological theories, both classic and contemporary, to each topic, as well as beginning to understand how anthropologists research ethnographic using methods, such as observation. The course encourages you to draw on your own cultural experiences to compare and contrast these with other cultures. New students to the college and the department can sometimes worry about the level of information introduced during lessons. As a department we offer a range of support classes in order to assist students with their comprehension of the course. As a department we offer weekly support classes for Year 1 and Year 2 students, as well as additional revision and catch up sessions prior to the end of year exams. The department also provides students with access to additional resources on the College's Moodle facilities. This site contains everything needed to support and develop students understanding of the course providing access to: class materials, extension work and revision materials. It also has links to past exam papers and scholarly articles. Most importantly, the department aims to be friendly and approachable – we encourage students to pop along to the workroom and have a chat if they are at all unsure about anything covered in class or have any concerns or worries, and we can always offer one-off additional teaching sessions, such as support drop-in, extension drop-in and revision drop-in. We offer students a variety of ways in which they can extend their knowledge of Sociology, encouraging them to watch documentaries that are pertinent to the subject, of which there are many. The department also has access to Sociology Review magazine and to various scientific papers written by Sociologists. Staff within the department will always be willing to provide students with additional tasks and activities as part of our stretch and challenge programme. Students can also make use of our Moodle system, which has a wide variety of extension materials for every unit covered in year 1 and year 2 Sociology, Citizenship, and Health and Social Care. 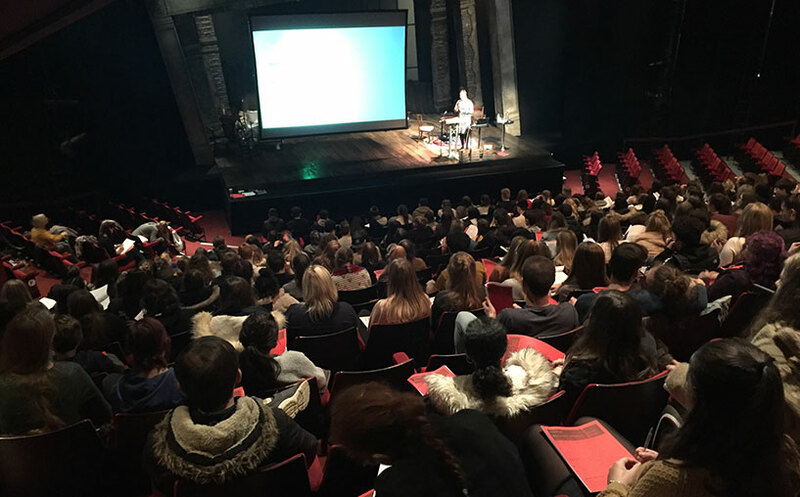 The department organises and runs an annual Sociology Conference, which is held in Colchester and includes other colleges from the surrounding areas. This day includes a sessions by a number of Examiners for Sociology as well as other highly regarded speakers in the field. This is a worthwhile trip for any students planning to go on and study at a higher educational level as well as providing essential revision and support for the summer exams.